A slow system can make life harder, especially, considering how dependent people are on their desktops for work. 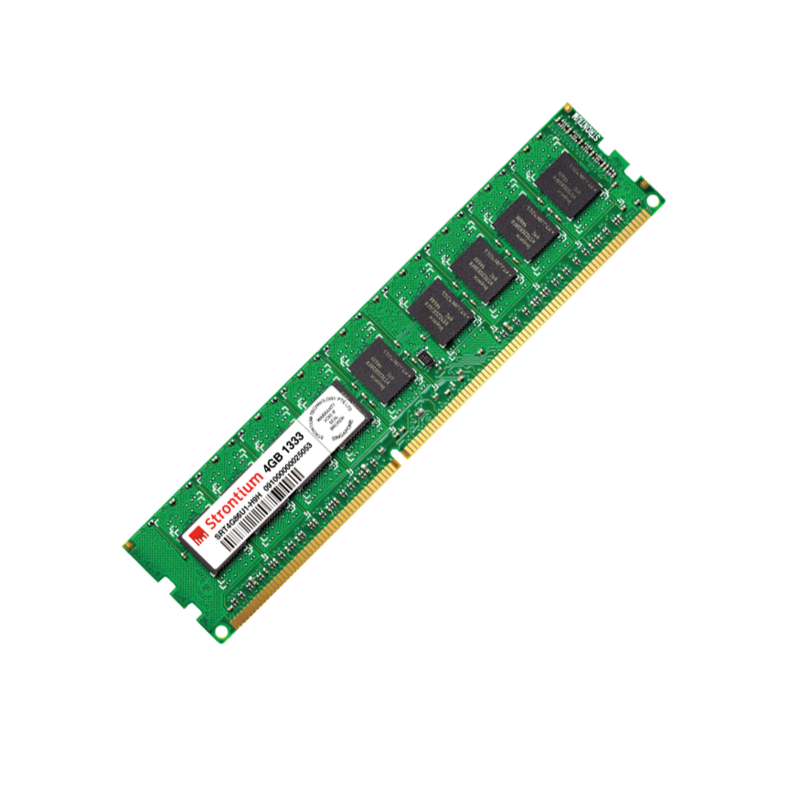 Strontium desktop memory modules are designed solutions to step up the RAM performance of your system. Due to the high quality and reliability of Strontium Desktop DDR3 RAM, it provides our customers with satisfaction rather than having to settle for patience. The two main attributes that affect the RAM performance is memory capacity and speed (clock speed). Strontium desktop RAM has a range starting from 2GB to 8GB DDR3 single module with a clock speed of 1600MHz and thus can handle multiple programs open simultaneously which proves that your needs are our priorities.